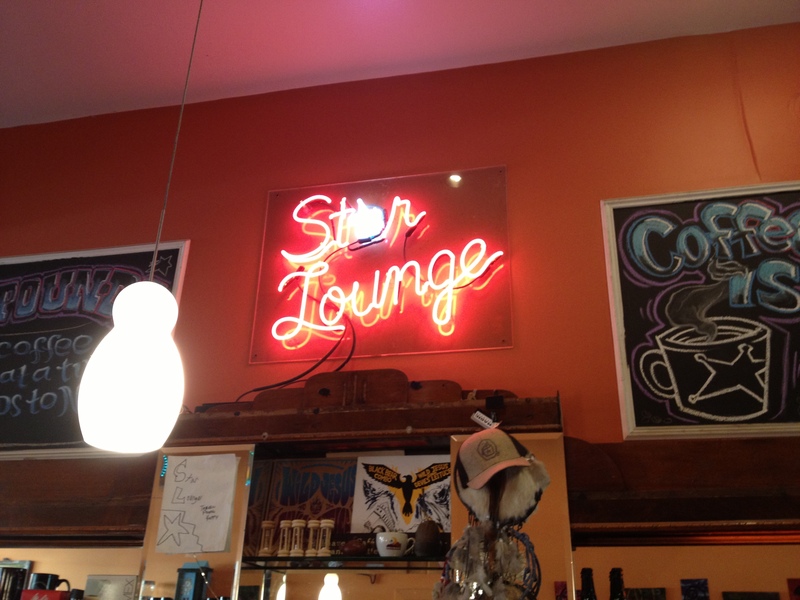 Star Lounge always has multiple selections of coffee available, and I’ve generally like all of them. Of the blends that they make, I remember the holiday blend (Old Dank Nick) being especially good. One of the things that separates this holiday blend is that it actually has a little acidity to it. A lot of holiday offerings (regardless of the type of food or beverage including beer, wines, and so on) tend to be focused more on sweet and maybe a little roasty. Having a little bit of offsetting acid can help offset all the holiday sweetness overload. Where musical puns are born. Speaking of acid, the decor of Star Lounge has a bit of that in mind. Pretty much all the decorations/names/themes are music-related (including the t-shirt that says “Mug Life”, ha). So, when you visit the Lounge be ready for music-themed puns, classic rock and a bit of trippyness in general. On a related note, the Dark Matter roasting facility takes this theme to another higher level. In terms of non-black hot coffee (which is usually what I order at any coffee place), Star Lounge has some great offerings. 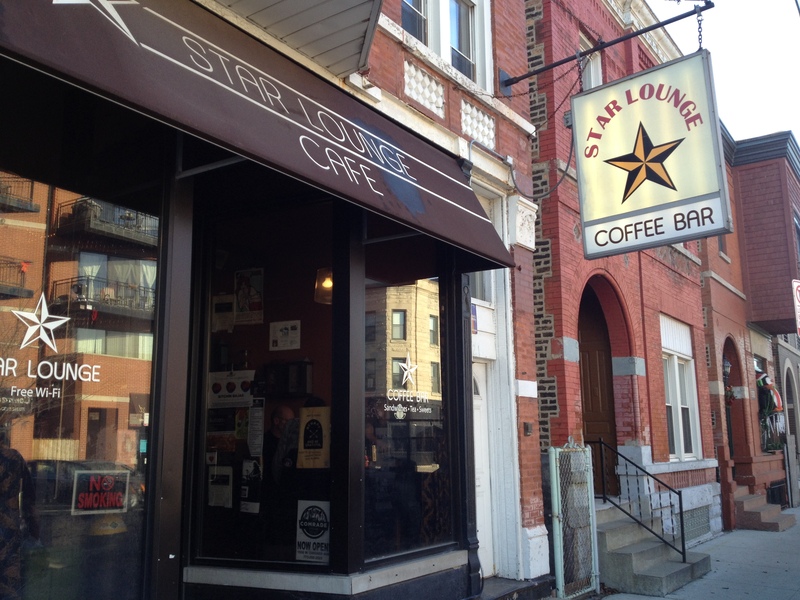 For instance, before last summer I almost never had iced coffee before, but I became addicted to the Star Lounge iced coffee (on tap!). It has to be pretty good, because that’s strangely out of character for me. The espresso drinks I’ve had are very good and they take very good care of their tea as well. It’s loose-leaf tea that they bag up, and, once again, the iced versions are pretty awesome. Otherwise, the place is what you expect from a coffee shop. Some places to sit and pull out a laptop, free wifi and a distinctly alternative crowd. 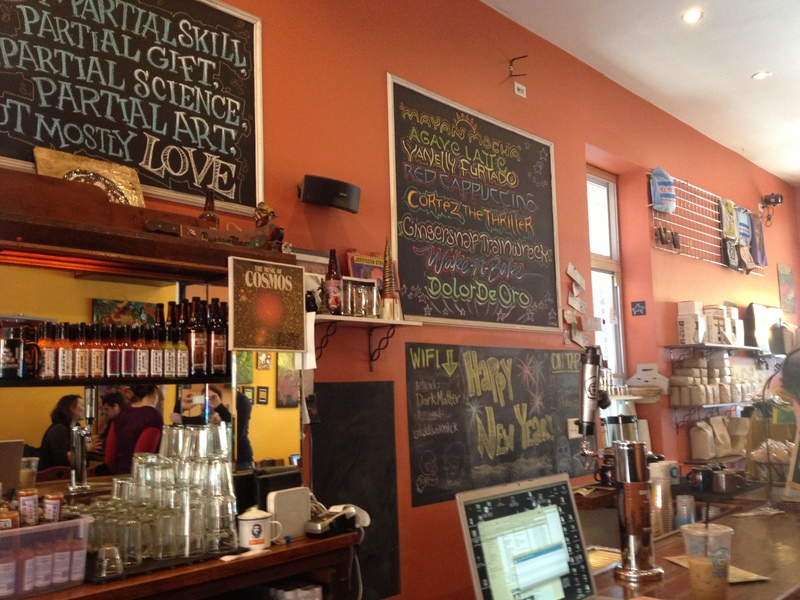 If my previous paragraphs didn’t make it clear, this is pretty easily my favorite coffee joint in Chicago. Mark has built a reputation as a responsive and dedicated broker who uses his market expertise and extensive background in finance to identify and close on prime opportunities for his clients. As a multi-year top-producing agent at a boutique real estate firm, he brings an unparalleled level of experience, skills, and customer service to real estate transactions. Whether working with a first-time condo buyer or selling a multi-million dollar investment property, Mark strives to understand each client's unique needs and leads them confidently through all aspects of what is often a complex process. Constantly looking at the long-term benefits, Mark educates his clients with their future in mind, and remains a trusted advisor long after any single transaction has closed. This entry was posted in Coffee, Espresso, Uncategorized, West Town and tagged alinea, chicago, coffee, dark matter, star lounge, ukrainian village. Bookmark the permalink.